It's the day of my 10k walk for charity! To remind you I'm doing the Walk Ten for Marie Curie Cancer Care. I'm very excited to announce that with support from the beautiful ladies at Rhodesian of Edinburgh, we've raised an amazing £452! A huge thank you to everyone who donated money on my Just Giving page or through entering the raffle for the satchel. I'm now pleased to announce that the winner is no 171, Stephanie West! I'll email you Stephanie if you don't see this after my walk. Thank you to the Rhodesian of Edinburgh ladies for for sorting out the raffle tickets! 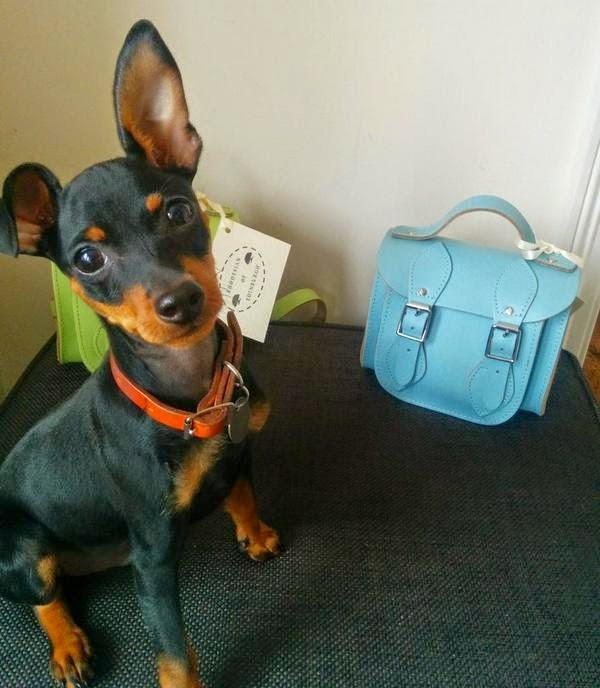 She has won this beautiful blue Rhodesian satchel. Anyway got to dash! I've got some walking to do! you're amazing. good job fundraising!